Last week I shared my addictive collection of coffee mugs with you. Get it? Addictive? Coffee? Caffeine? Sorry. Well, I have a second small obsession that's related... coasters. Think about it. 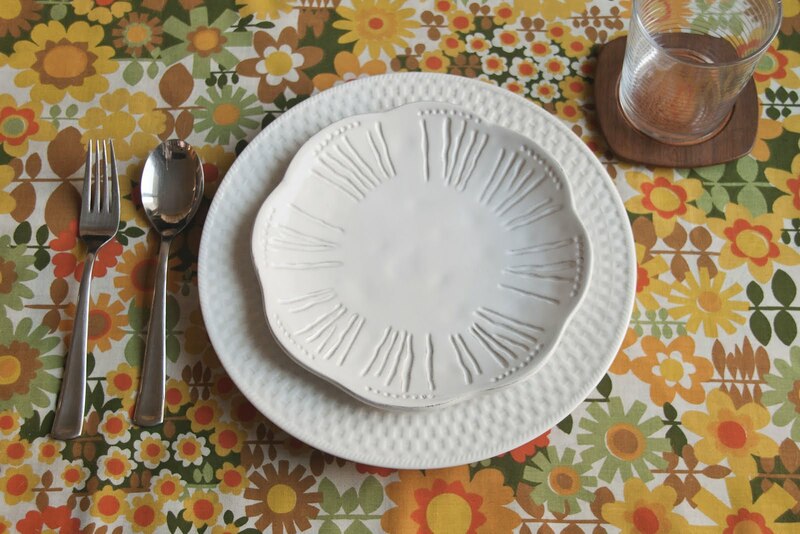 The table is set. Oh what beautiful dishes, silverware, and cups or coffee mugs! 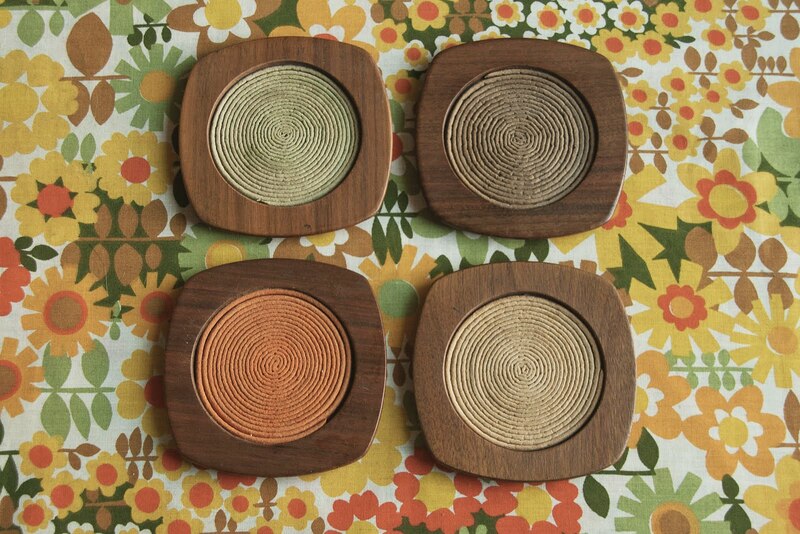 Coasters don't get any cred. - thankless workers in the table scape world. People, coasters are super cute. I love them. Want your own cuties? Here are my sources... The set above was from an estate sale I went to last weekend - only $2! Love. They join my felt coasters (gifted by Tim from Abodeon), sandwich coasters (gifted by my Mom from Urban Outfitters), record coasters (sorry I can't remember where I got them), and cork teacup coasters (from Magpie). If you're ever in Cambridge, MA, definitely head to Abodeon and Magpie for some adorable shopping. How do you keep collections under control? 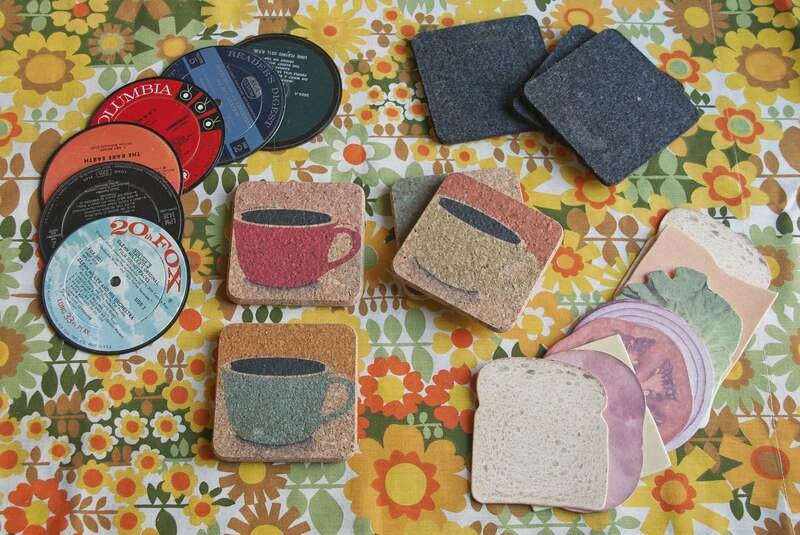 I love your sandwich coasters! I got some toast-shaped cork ones for our wedding. Someday, we're going to find ourselves featured on an episode of Hoarders, navigating a sea of pillows and coasters in every room. And you'll just be smiling and cackling, like Scrooge McDuck diving into his pool of coins.